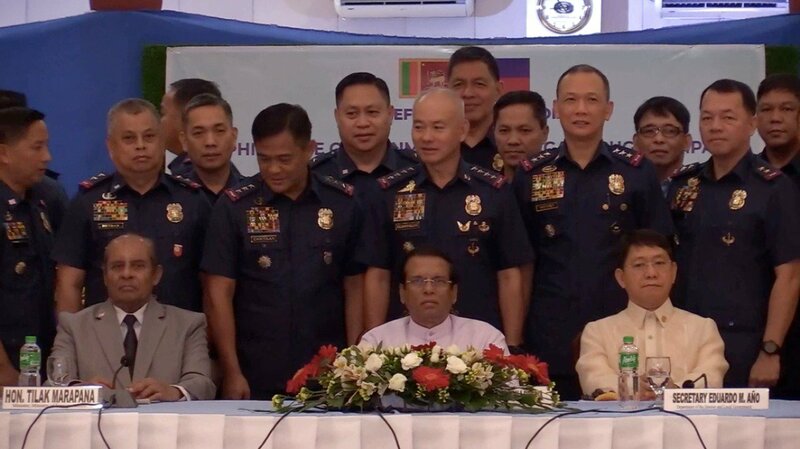 Sri Lanka President Maithripala Sirisena poses with officials of the Philippine National Police, headed by its chief Director Gen. Oscar Albayalde, and Interior Secretary Eduardo Año. 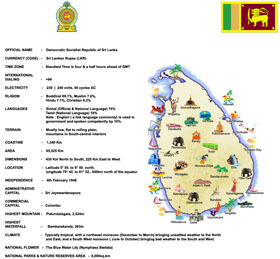 MANILA, Philippines — The visit of Sri Lanka President Maithripala Sirisena in the Philippine National Police (PNP) headquarters was “fruitful and productive,” PNP Chief Director General Oscar Albayalde said on Saturday. Albayalde noted that during the discussion on the Philippine drug war, Sirisena said the drug problem in the Philippines was also the same problem of Sri Lanka. “It was very fruitful and very productive. I think sila mismo narealize pareho yung problema nila sa atin. ‘Di lang natin alam ang Sri Lanka kung ano [exactly] problema nila sa illegal drugs,” Albayalde told reporters after the PNP program during Sirisena’s visit. Albayalde added that Sirisena was appreciative on the PNP’s presentation about the government’s program on curbing illegal drugs in the Philippines. “But very appreciative yung presidente ng Sri Lanka dun sa prinesent at nakita at sabi nga yung whole government sa illegal drugs kaya nga sabi nila magandang gayahin daw ito,” Albayalde said. 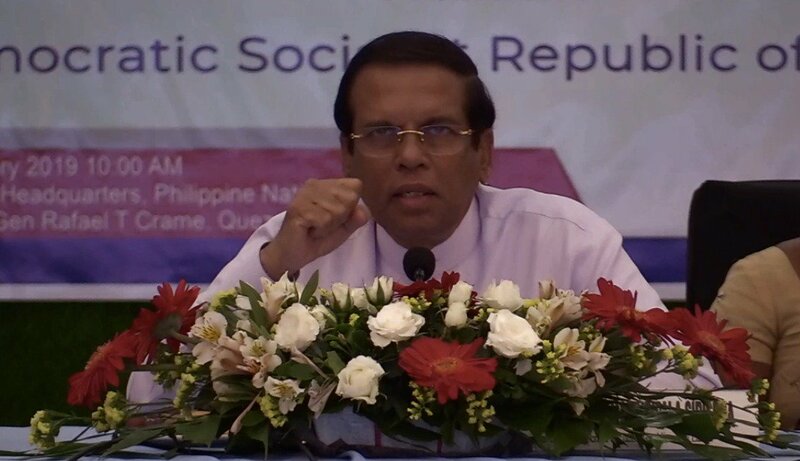 Sirisena also asked about modern techniques and equipment used for detecting illegal drugs, Albayalde said. “I think nagtanong sila kung paano modern techniques and equipment to detect illegal drugs particularly sa ports,” he said. Albayalde then said there was no formal collaboration yet with Sri Lanka but “information sharing” about drug war already happened in the past.